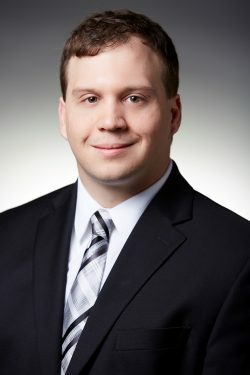 James Betts is a junior associate for the Worker’s Compensation Defense Department. James was admitted to practice in Delaware in 2017. James is a native Delawarean, hailing from Seaford, Delaware and has now relocated to Wilmington. James graduated from Lock Haven University with a B.S. in Criminal Justice and a Minor in Philosophy. James then attended Delaware Law School. While in law school, James had the opportunity to intern/extern with a variety of organizations such as, the Office of the Delaware Public Defender, the Consumer Protection Bureau of the Pennsylvania Attorney General, and the Department of Justice: U.S. Trustee. In his free time, James enjoys cooking, baking, Impressionist art, reading stories, and all things coffee.